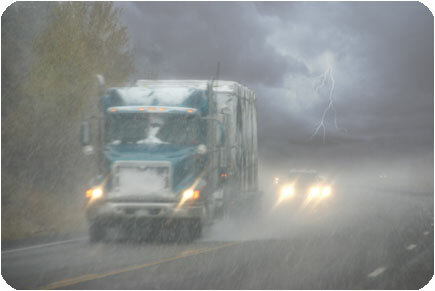 During the past decade, a number of major weather events have disrupted or damaged transportation networks. According to staff scientist Joe Casola with the Center for Climate and Energy Solutions, in some cases trends in the frequency or intensity of these events can be linked to longer-term changes in the climate, while in all cases the events demonstrate the vulnerabilities associated with our transportation infrastructure and services. For example, scientists are very confident that there will be a significant increase in the frequency, severity, and intensity of heat waves during the 21st century. Heat waves can affect transportation in many ways, including limits on construction hours, vehicle overheating, electrical system malfunctions and brownouts, loss of pavement integrity, rail buckling, and air traffic slowdowns. Scientists also predict continued increases in heavy rainfall events, especially in the East and Midwest; this will likely lead to increased erosion along rivers and coasts, loss of soil integrity and landslides, roadway and rail bed washouts, and sewage overflows. As weather patterns change in our nation and the world, transportation planners will need to increase their focus on building resilient transportation systems that can anticipate, absorb, adapt to, or rapidly recover from disruptive events. In addition, Casola said transportation planners should be making post-disaster plans before disasters happen. For example, answering questions such as ‘At what point should this facility or service be abandoned?’ before a disaster can help smooth the way if those tough choices need to be made in the future. Read the full article in the July issue of Catalyst.